It’s not often that I disagree with the folks who put together the Wall Street Journal editorial page. For instance, they just published a great editorial on that cesspool of cronyism and corruption that is otherwise known as the Export-Import Bank. Isn’t it great that the voice of capitalism actually supports genuine free markets! That being said, a recent editorial rubs me the wrong way. It’s about the presumably quixotic presidential campaign of Senator Bernie Sanders. These excerpts will give you a flavor of what the WSJ wrote. 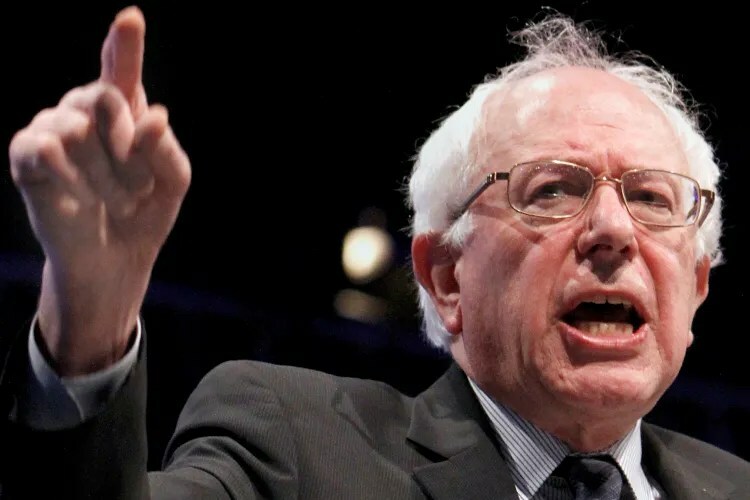 Vermont Senator Bernie Sanders, an avowed independent Socialist, has decided to run for the Democratic presidential nomination… He thinks the American economy is fundamentally unfair, and that government must tax and spend even more heavily… He thinks Social Security should increase benefits, no matter that it is heading toward insolvency. Higher taxes can make up the difference. …He wants single-payer health care, though his own state gave up the experiment as too expensive. My gripe is that Sanders isn’t honest. A genuine socialist believes in government ownership of the means of production. In other words, nationalized factories, government-run businesses, and collective farms. If Sanders believes in these policies, he’s remarkably reluctant to share his perspective. In reality, Sanders is like Obama. You can call him a statist, a corporatist, or even (as Tom Sowell correctly notes) a fascist. In other words, lots of redistribution and lots of back-door government control of the private sector, but not a lot of People’s Factory #58 or People’s Farm #91. Though it is true that Sanders wants the government to directly run the healthcare system (akin to the horrifying U.K. approach), but at most that means he’s a “partial socialist” (or, to modify the WSJ‘s title, a “mostly dishonest socialist”). Moreover, he doesn’t bring anything new to the presidential race, at least from a policy perspective. There’s only a trivially small difference, for instance, between Hillary Clinton’s lifetime rating of 10.6 from the National Taxpayers Union and Bernie Sanders’ lifetime rating of 9.4. They both earned their failing grades by spending other people’s money with reckless abandon. Though it’s worth noting that both Clinton and Sanders are “more frugal” than Barack Obama, who earned a lifetime rating of 9.0. I guess this is why the phrase “damning with faint praise” was invented. The only difference between Hillary, Obama, and Sanders is tone. Here’s some of what Charles Cooke wrote for National Review. Sanders does not play games with words…he steadfastly refuses to pretend that he represents moderation. …Sanders is to public policy and professional politicking what Joe Biden is to personality. He is open, blunt, unapologetic, compelling, ready to debate. Which is in stark contrast to Hillary Clinton’s pabulum. …the Democratic primary is being dominated by a corrupt, controlling, soulless, cynical, entitled, and mostly synthetic avatar named Hillary Clinton, and, in consequence, it is almost entirely devoid of ideas. …Hillary and her team stick to meaningless and saccharine banalities, almost all of which, one presumes, have been poll-tested within a fraction of an inch. …At no time does she stake out a vision. At no time does she adopt a controversial or momentous position. Instead, she hides behind corporately assembled strings of mawkish, semi-literate tosh. So the difference between Clinton and Sanders is that he’s proud of his statism and she wants to hide her radical agenda. But it doesn’t matter what they say or what they call themselves, the bottom line is that their policies are destructive, both economically and morally. P.S. Since Senator Sanders is from Vermont, it’s both amusing and ironic that the Green Mountain State’s government-run healthcare system self destructed. P.P.S. Since we’re on the topic of socialism, it’s worth pointing out that Jesus wasn’t in that camp. Though I’m not sure we can say the same thing about the Pope. P.P.P.S. Heck, Jesus may have been a libertarian. P.P.P.P.S. If you like socialism humor, click here, here, and here. P.P.P.P.P.S. Switching to another topic (and one where there’s zero humor), you may remember that I wrote a few days ago about the horror of so-called civil asset forfeiture. This happens when the government arbitrarily seizes your money and/or property without convicting you of a crime. Or even without charging you with a crime. Well, here’s a video from the Institute for Justice about a new tragic example of theft by government. If this doesn’t get you angry, you probably need counseling. This story reminds me of the Michigan family that was similarly victimized. Socialism does not lift up the poor. Anybody who believes Socialism will improve the lives of those who are on the lower end of the economic scale has been sold a bill of goods. People who have a realistic perspective know that Socialism never works. Those with an entitlement mentality by contrast seem to crave Socialist policies. How long will it take for people to learn that Socialism and Socialist policies are failures? Blaming Capitalists for the great depression of 2008 just won’t wash. Informed Americans are well aware that the Clinton Community Investment Act was the real culprit. Liberal government hacks forced banks to issue millions of high risk loans to minorities and others that couldn’t afford them. The results were predictable, as the Real Estate Market Bubble burst, the loans went into default by the Billions. The essence of socialism is that someone (or someone they believe in) knows what is best for others (from individuals to groups or “communities) or for “society” in general and will use government power to force this belief. It doesn’t necessarily mean government ownership of the means of production (communism) but socialists would be happy to include this if they thought it was needed. The supposed needs of the society forced on individuals would be socialism and the supposed needs of the country forced on its citizens would be fascism. In my opinion Bernie Sanders is indeed a socialist. “Socialist” may have a more precise technical definition in political economy. But it could also mean simply a system where the collective (society) has wide and comprehensive control over the individual. Whether that control is exercised by commissars directing the means of production, fuhrers who oversee subjugation of industry to the state, or The People themselves wanting comprehensive collective control of most economic activity, is a further differentiator of societies where the individual is largely a slave of the collective. Also, the term “socialist”, like many words, may be simply evolving. That makes sense, given the fact that democracy seems to have won the worldwide moral argument, as the better form of government. The new frontier is to distinguish between democracies with electorates that accept modest externalities in order to respect individual freedoms and a more unadulterated effort-reward curve and pitchfork democracies where voters want flatter effort-reward curves and ever larger control over individual lives, and, …when it comes to economics,… essentially want strong majoritarian control over all economic activity. Where do you feel freer? In a place (a) where your right to demonstrate a dozen times a year in the street is suppressed? or a place (b) where you cannot demonstrate but day in day out you work every day 9am-12pm for your family and then 12pm-5pm for the distant collective? DAY IN-DAY OUT? I don’t have an answer but it does not seem trivial. In practice, many people are voting with their feet by moving from jurisdictions (a) to (b). There are a lot of Europeans, including many with lofty social democratic ideals… in Singapore’s quasi-democracy. Money talked…and they walked. You need a basic lesson in political philosophy… There are differing notions of socialism, and a democratic socialist, or social democrat, are not the same. Your article continues the same misguided ideas that have been furthered through the years to discredit the left.